Step 2. Go to Accounts and Import. Step 3. Choose Send mail from another address. Step 4. Enter your preferred name and address. Step 5. 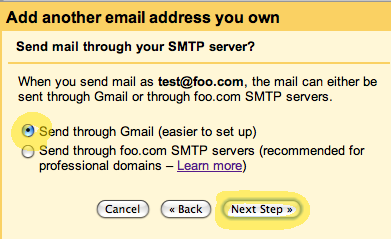 You probably want to leave this setting at Send through Gmail. Step 6. 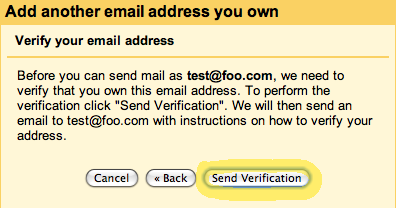 Send yourself a verification email and confirm that you own the email account. Step 7. Once you’ve verified the address, it will appear as an option under Accounts and Import. 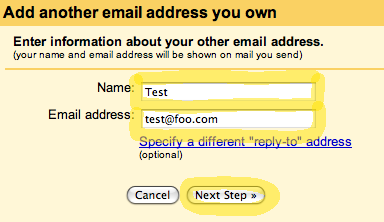 Click make default and Always reply from default address, and all your Gmail replies will now use your new address. You can undo this at any time just by clicking make default for your original Gmail address—you don’t need to repeat these steps.